James Ellison will move to the TAG Racing Yamaha team for the 2018 season as he prepares for just one last attempt at winning the coveted British Superbike crown before moving to America with his family. 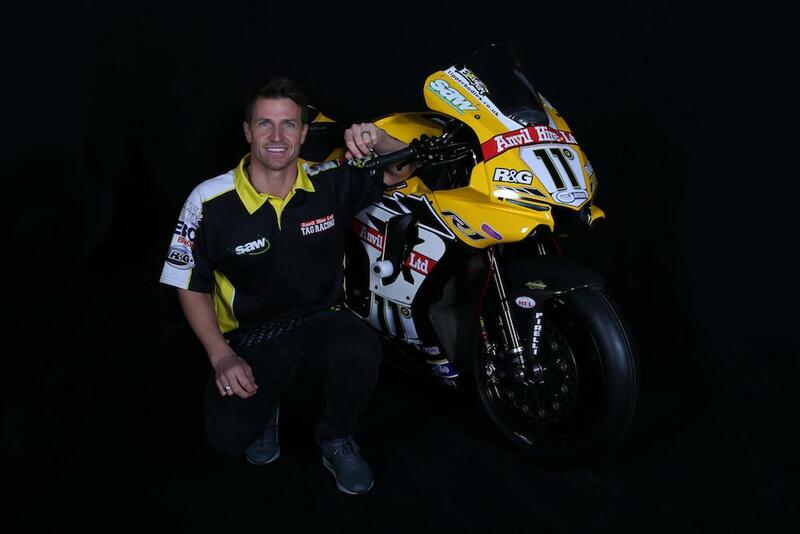 Fresh from achieving a historic runner-up spot with Aussie Josh Brookes this year, the TAG Racing team were quick to sign up Ellison, who will test the striking yellow YZF-R1 today before heading to the states for the winter with wife Sarah and their two children. The likeable Cumbrian, who finished runner-up to Leon Camier in 2009, has been a regular BSB front-runner over the last decade and has confirmed 2018 will be his last crack at winning the title before moving stateside permanently. “2018 will be my last year in BSB, so this will be my swansong,” Ellison told MCN. “I need to win this title and I’ve got one more year to do it before I move to America with my family. “I wanted to stay with McAMS next year for a second year on the Yamaha, but when it started to look like that might not happen as the sponsor wanted a younger rider, I started looking elsewhere. I enjoyed riding the Yamaha a lot and I’ve had my strongest BSB results on a Yamaha, so with it being my last year I didn’t want to completely start again. As expected, Ellison will partner Shaun Winfield, son of TAG Racing owner Rob Winfield, as he continues to look to make progress in the series after a series of personal best achievements in 2017. Ellison’s move from the McAMS team to the TAG Yamaha squad paves the way for Josh Brookes’ move to the factory-supported outfit, which is expected to be confirmed in coming weeks.